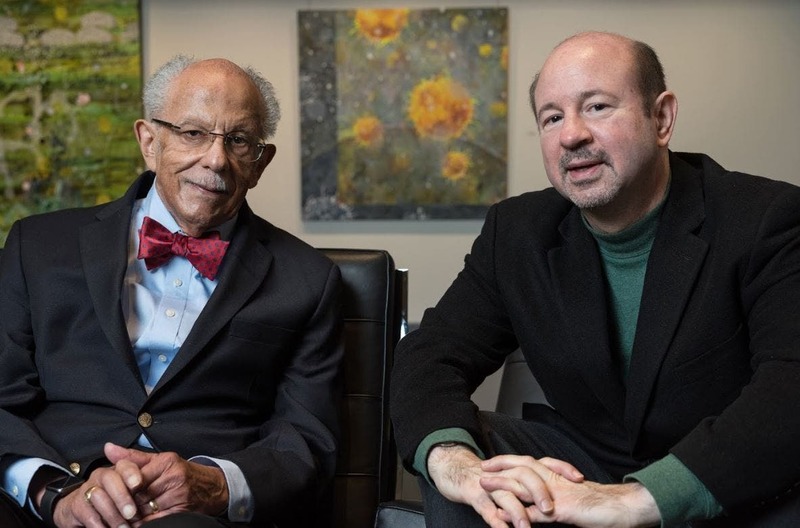 The 2019 Tyler Prize for environmental achievement was awarded February 12 to two eminent climate scientists, Warren Washington and Michael Mann. Julia Marton-Lefèvre, chair of the Tyler Prize executive committee, said in a statement announcing both awards, “The Tyler Prize Executive Committee is honored to recognize two outstanding scientists who have not only advanced our knowledge of climate change, but also demonstrated exceptional courage and commitment to public policy.” The two scientists will share the $200,000 stipend that accompanies the Tyler Prize. In the 1960s and early 1970s, the world was slow to react to the growing levels of pollution and ecological imbalance faced by humanity. The environmental debate was still in its infancy and contested by many. The concept of sustainable practices had not yet been developed. In the spring of 1972, the United Nations organized the first Conference on the Human Environment in Stockholm, Sweden. Critically concerned for the state of their beloved natural environment, dedicated conservationists, philanthropists, and animal lovers John and Alice Tyler felt compelled to make a difference. They wanted to make the world aware of the climate and environmental research taking place at many colleges and universities and to inspire others to do the same. To further that goal, they decided to spotlight the achievements of the world’s top environmental scientists by bestowing a prestigious international award on them each year. The Tylers assembled academics from some of America’s leading institutions of higher learning — California Institute of Technology, Harvard, Massachusetts Institute of Technology, Scripps Institution of Oceanography, Baylor University, the University of Southern California among them — and delegated them to select the most deserving honorees. During its 46-year history, the Tyler Prize has recognized passionate environmental science dedication across a spectrum of environmental research fields, including environmental policy, environmental health, air and water pollution, ecosystem disruption, loss of biodiversity, population, energy, and food resources. It remains the premiere international award for environmental science and is often referred to as the “Nobel for the Environment.” It has been administered by the University of Southern California since 1981. Both recipients have given lengthy, detailed interviews with the Tyler Prize committee in which they reveal the hard work and travails behind the activities that led up to them receiving this award. Both interviews are lengthy but well worth your time. The are reproduced in full below. Dr. Washington has had to combat the pernicious effects of racism in his work, while Michael Mann has been pilloried by fossil fuel apologists for daring to present his findings in public. The interviews are highly illuminating and help explain what is required of climate scientists in a world where climate deniers control large segments of the news media and the public debate. Much of what these two men have accomplished forms the basis for the Green New Deal legislation introduced in Congress this week. What was your reaction to learning that you had been selected as the 2019 Tyler Prize Laureate? It was quite a surprise when I got a call one Saturday morning, saying that I would be awarded the Tyler Prize along with Michael Mann. 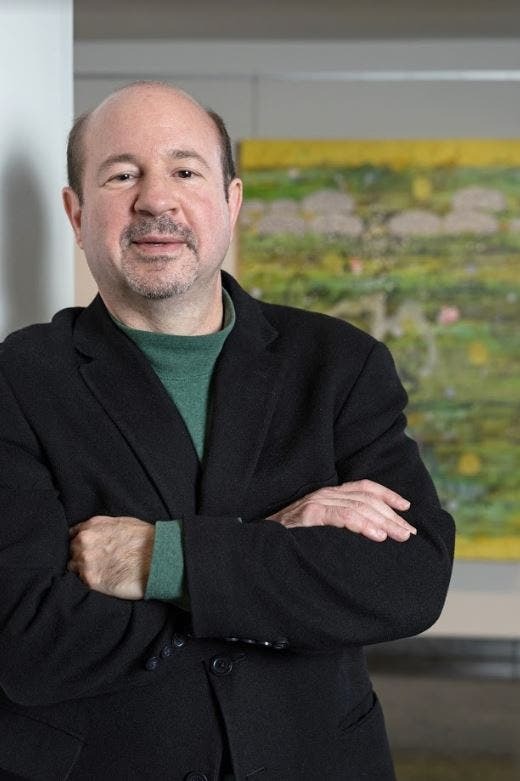 I was extremely pleased to get that news, because it showed to me that the work of people like Michael Mann and I have been doing on climate change is getting the recognition that it deserves. What do you think the future looks like for our climate? Right now we’re on the path of greatly increasing carbon dioxide in the atmosphere. It’s what we call “business as usual.” Or in other words we are not doing enough about cutting back on the use of fossil fuels – therefore, getting the biggest and worst effects from climate change over the next 50 or 60 or 70 years. It’s just amazing to me that we have these forest fire outbreaks or hurricanes in coastal areas, that we’re seeing increasing more people being affected in very dramatic ways, that we didn’t see 20 or 40 years ago. We understand what the effect is. We need to take very large societal steps to cut back on the use of fossil fuels. Recently, a lot of your scientific outreach work has focused on diversity. What motivates your work in this area? I think it is more healthy for society when we have a good representation of everybody who come from different backgrounds and cultures. When I got my PhD, the attitude was “Well, you’re of a certain ethnic group or racial group and we don’t want you here”. During my baccalaureate degree work, my student advisor, a faculty member, told me that I probably shouldn’t go into physics: “It’s too hard, and you probably should go into another curriculum.” I said, “I want to be a scientist” and I stuck to my guns. I did not let him talk me into an easier subject. Climate scientists are often heavily scrutinized. How do you react when people doubt the accuracy of your work? Well, as a climate modeler, we’re quite aware that there are some people who say that our models aren’t good enough and that we haven’t accounted for certain factors. I find this almost a remarkable statement, because we rely on the use of our models to essentially establish: ‘are they giving the right answer for the right reasons?’ We do make some adjustments in our models as we acquire we build these models, but we constantly validate them by looking at observed data. The observed data is what we rely upon to see if our models are able to simulate the present climate first. Then after we have satisfied ourselves that we can do that, we then use these models for looking at future climate change and past climate change, where we understand, for example, going in and out of ice ages every 40,000 years or so. We can simulate that just by changing carbon dioxide and other aspects of the climate system. I think that we have validated our models quite well and carefully, to make sure that they are not giving a false answer. Now, we are constantly improving our models. The early models had fairly simplified physical processes such as clouds, rainfall patterns, temperature patterns and so forth. Now, our models are constantly refined by including much more detailed structure about these processes and compared them with numerous observations, so we have more confidence that they’re doing the right thing. I just think that students need to be encouraged and need to find a challenge, and it probably results in people being more motivated to do well if they are following their own interests. I was the first African American President of the American Meteorological Society and during that time there were very few Hispanics, Native Americans, and African Americans in the society. Now we have probably more than 100 members from underrepresented groups. I should say that one of the big things that has changed, isn’t just in terms of ethnic minorities, but the female population has increased substantially, as well. That was always a problem, very few females. Now we are probably 40% female students in the education pipeline, so we’re making progress on several fronts, gender as well as with minorities. You’ve worked for six US Presidents, both Republican and Democrat. How would you compare Trump to Obama? My time with Obama showed me that he actually spends a lot of his time preparing his talks, so that they’re carefully worded and carefully researched. He actually tries to understand the details of what he’s doing. Once when I was on a climate change panel with him, he preceded me in his talk and I mentioned to him in a joking manner, “You gave my talk.” President Trump does not get briefed or study what the science community knows about climate change or doesn’t know. Moreover, the present president is not concerned about details and whether it is scientifically accurate or not. How did you get interested in climate computer modelling? I think there was a need for a tool to understand climate and climate change. We knew the basic mathematical equations that go into climate models as early as 1906. I was going to graduate school at Oregon State University and a small group at Stanford Research Institute was looking for a mathematician and physicist student to help. I was employed by this group for the summer of 1959. They were examining the idea of making computer models of the Earth’s weather. At the end of the summer, I asked them, “Where can I go to get a PhD in this field?” They listed five schools that had new programs and I ended up going to Penn State University. How did you handle working with early computers? The first computer that I used was a vacuum tube computer, like the old radios that used vacuum tubes. It was about the size of a room, maybe 20 feet wide and 20 feet long, and it was primitive. It generated a lot of heat because it did not have the types of circuits that we see on our iPhones and modern computers. In fact, I suspect that I have more computing power in my iPhone than the computer that I first ran on. Way back in about 1956 and ‘57 at Oregon State University, they received one of the earliest modern computers. It was called the ALWAC, which is similar to the ENIAC – which was the first electronic computer. I learned how to use it for solving mathematical equations, which came in handy later because I was ready to make use of my mathematics and physics background to work with others on developing climate models. You were very limited on what you could do on those early computers, because they just did not have much in the way of software. It took us one day of computer time to calculate one day of model weather, so it was painfully slow because we would wake up the next day, after it ran all night and looked at the answers. Early results were encouraging. Why do you think climate computer modelling is so important? Our modeling is useful for both weather forecasting and long-term climate changes research. Our purpose was to make these models capable of doing almost anything that deals with climate or climate change. In addition, the models were freely available to researchers worldwide. The objective at first was to simulate the observed climate change that we see in the observations. We were able to do some early experiments in the late ‘1970s and 1980s’ on more advanced computer systems. We could actually run models for a century or so and look at different scenarios. This is important, because we were able to provide to the Paris Accord several different scenarios, depending on how much cutback in fossil fuels. We had to make various assumptions about, “are we going to cut back 20%, 30%, 50%, and 100%?” We really gave them a whole set of scenarios that they could use in the policy debate. The research community continues to provide the policy makers worldwide different scenarios, which can potentially influence political issues. If you cut back fossil fuels too much and increase the price of energy, then people are going to not pay attention and say it is too extreme. If leaders do not do enough, then society is going to get in the future more severe impacts such as increased flooding, increased forest fires, and sea level rise. Numerous scientific studies have shown many serious climate impacts that are already happening, and society has many choices to make. Some will be painful ones. What the climate research community is offering is research on what is happening now and what will happen in the future, depending on which scenario is selected by the world’s leaders. I’m delighted to win the Tyler Prize, because of the legacy of this prize. All of the great contributors to our modern understanding of environmental science, it’s a who’s who, a list of previous laureates of this prize, and to be part of that group, to me, is the achievement of a lifetime. I was delighted to learn not only that I’d won the prize, but that I was able to share it with a true hero of mine, Warren Washington. He has been at the very forefront of advancing our understanding of the climate system and the construction of elaborate computer models, to model Earth’s climate system. Warren was there at the leading edge of that effort. You’ve become one of the ‘go to’ scientists for media reporting on climate change. How did that happen? There’s a (forecasting) model that’s known as the Random Walk. It’s sort of like a drunken person who just sort of randomly moves in different directions. You can use that as a physical model for the way certain random systems behave, and I liken the random walk to our erratic paths in life, and our erratic career paths. I followed this random walk that led me from theoretical physics, to climate science – ultimately to the very center of the larger public conversation about human caused climate change. So a typical scientist – what motivates us is solving problems, developing methods for answering basic questions about the way the world works – that’s what motivated me to become a scientist. I envisioned spending my life in a lab, at a computer, crunching numbers, doing calculations, trying to find answers to interesting questions, and solving problems. That leads us to ‘Climategate’. How did you feel at this time? I can tell you, I was terrified. I was a early career scientist, an untenured assistant professor. I didn’t have job security at that point, and people clearly were trying to discredit me before I even had an opportunity to get tenure. I felt personally violated, and I couldn’t believe that our detractors had stooped to literally criminal behavior, that they have so lost the legitimate debate about the science that they’re now turning to criminal acts, stealing emails, misrepresenting us, by taking our words out of context, that they had sunk to that level. It was a new low, and so it was a mixture, for me, of feeling violated, of being angry, and being disgusted by what the sort of climate change denial lobby had been reduced to here. What this was, was one of the most organized and well-funded campaigns against science, in our history, and it was used to thwart efforts by the global community, to confront the climate change challenge, by fossil fuel interests, who don’t want to see us move away from our addiction to fossil fuels, to clean energy. Just recently there was an announcement from Saudi Arabia, Russia, and the Trump administration, that they are refusing to adopt the recent 2018 IPCC Report, at COP24 in Poland. That is the coalition, that is the axis of evil, that George Bush talked about axis of evil, there is an axis of evil, and we’re part of it now. Our work ultimately took us down a path, where I ended up publishing a study that sought to reconstruct how temperatures had changed over the last thousand years, and it resulted in this curve known as the Hockey Stick, which shows the abrupt warming of the past century. So that graph became an icon in the climate change debate, and I suddenly found myself at the center of the contentious societal debate over human caused climate change, which put me in a completely different world from the world that you’re used to as a scientist. The rules of engagement in science are good faith questioning of real skepticism, challenging your colleagues to prove their point with data and logic. That’s very different from the rules of engagement when it comes to our political discourse. There are those looking to discredit our science, to discredit the Hockey Stick because it was this iconic symbol indicating the seriousness of climate change. They would turn to other approaches, trying to vilify me, trying to discredit me personally, as a way of discrediting the underlying scientific evidence. You’re not used to that as a scientist. Nothing in your scientific training prepares you for that sort of combat, and so it’s a trial by fire. Ultimately, I’ve actually come to embrace this role, because it’s put me in a position to inform this – perhaps the most important societal conversation we’ve ever had – this conversation about what we’re going to do to confront what is arguably the most serious challenge we’ve ever faced, human caused climate change. I didn’t sign up for this, this isn’t how I expected to be spending my time and devoting my life to this effort, but I feel privileged to have found myself in a position to do that. How have people reacted negatively towards your research? I have been hauled before the Senate and the House of Representatives, put in the hot seat, and attacked by fossil fuel funded politicians, looking to discredit me and my work. I’ve received substances in the mail, white powder that had to be investigated by the FBI, to make sure that I and my colleagues hadn’t been exposed to anthrax. I’ve had numerous death threats, I’ve had threats against my family, I’ve had demands for me to be fired from my job. I have been vilified on the pages of leading, right-leaning newspapers. I’ve been called names, I’ve had a video that was caricaturing me, and implying that I was engaged in scientific misconduct. I had to deal with the fact that I couldn’t entirely shield my friends and my family from all of these attacks that are aimed at undermining my science by discrediting me personally. People even hacked our website, Realclimate.org, and were attempting to construct a Real Climate article that was going to present the stolen emails, so they tried literally to use our website as the means of promoting and distributing these emails, just as a way of really adding insult to injury. How are you communicating climate change to the public now? It’s an unfortunate sort of consequence of the war on science, that scientists like myself and colleagues of mine, who are engaged in efforts to communicate the science to the public, are going to find themselves subject, not just to legitimate scientific criticism, which is a good thing in science, but politically motivated attacks, and legal maneuvers aimed at intimidating them, and at, again, sort of driving us into submission. The hope is that we will just withdraw from the public sphere, and I realized early on that the best way to fight back against those sorts of attacks is to do the opposite. If they’re coming at me, if they’re trying so hard to get me to shut up, there must be something important about what I’m saying, and I’m going to try even harder to say it, and find more ways of getting it out there. I’ve had the luxury of being able to talk about climate change with leading public figures and celebrities, like Hillary and Bill Clinton, Al Gore, Bill Nye and Leonardo DiCaprio. I helped make and participated in his documentary, Before the Flood. Leo has been vilified too, because of his efforts to communicate climate change to the public, and he has such an amazing platform. In fact, when he talked about climate change during his Academy Award acceptance speech, that was the most Googled moment ever for climate change and global warming. It’s been delightful for me to be able to help such folks who care about this issue and want to communicate it to the public. They have a platform, they have a level of access that’s well beyond what I have, so while I have opportunities because of the work that I’ve done to help inform the public discourse over climate change, probably my greatest opportunity comes in my ability to help others who have even larger platforms, public figures, to the extent that I can help them hone their messaging. That way, I have an even larger ability to inform the public discourse. Why do you think it is so important to continue to communicate science, especially climate science, even when it means being publicly attacked? I decided I had to get out there and communicate, because the stakes are too great. What we’re literally talking about is the greatest challenge we face as a civilization, and I can’t allow personal attacks against me to cow me into submission. It angers me that somebody would somehow be so misled into thinking that scientists like myself are engaged in some conspiracy to impose a new world order. There are organizations out there, that are funded by fossil fuel interests, that literally try to portray us as villains. It’s the organizations at the top who know better, who are intentionally engaged in this campaign of vilification in the hope that it will allow them to intimidate and basically cow into submission, scientists like myself, who have been trying to communicate the reality and threat of climate change to the public. Dr. Mann is the author of the book Madhouse Effect, illustrated by cartoonist extraordinaire Tom Toles. It tries to soften the sharp edges of the climate change scenario to make the news palatable to a wider audience, using simple declarative sentences and humor to get its points across. If you haven’t read it, pick up a copy at your library. It’s a treat to read and the illustrations are superb. In a rational world, scientists like Dr. Washington and Dr. Mann would be paid the magnificent salaries sports stars and CEOs are accustomed to. Their contributions are far more valuable to society than hitting a home run or throwing a touchdown pass. America and most capitalist countries have developed a warped sense of what is important. Teachers, for instance, are far more important to the growth and preservation of a nation’s culture than athletes, as are health care providers. Yet we continue to shower billions of dollars on CEOs who do little more than attend board meetings and tell each other how wonderful they are or on athletes who do nothing more than play games, albeit with a high degree of skill. What is it about capitalism that leads us to woefully underpay those who contribute the most but shower riches on those who make nothing and contribute little to making the world safe for all living things? Washington and Mann have made enormous contributions to the global community yet neither would make the Forbes Richest 1 Million People list. How odd. All photos courtesy of Tyler Award Executive Committee/Joshua Yospyn, photographer.